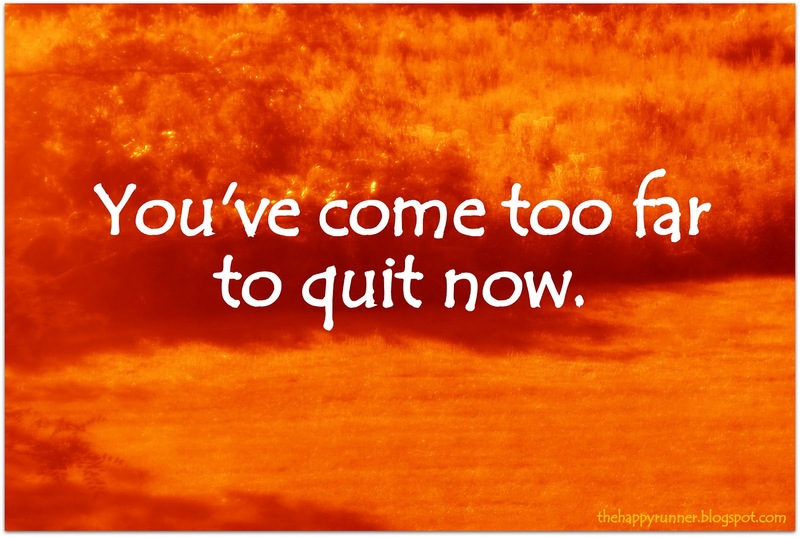 Monday Morning Motivation – no quitting! Do you agree? Does this motivate you? Who decides what counts? In my opinion, we all have different goals, but it’s important to aim high. 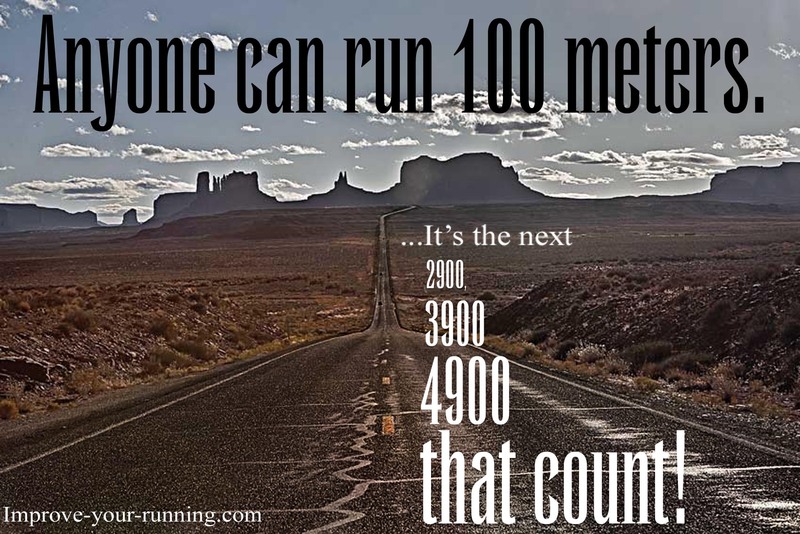 I can think of some people who would struggle to run 100m, so that would be a legitimate goal for them. Why is 5k important? Sometimes, I wonder whether I will ever achieve my goals, but then I reflect on how much progress I’ve made in the last 20 months and it makes me think that the seemingly impossible just needs to be broken into small steps. What small steps are you taking to reach your goal? You will learn a lot more on your journey to reach your goal than you will on achieving your goal. That’s definitely true – anything that’s hard-earned is meaningful. I’ll never forget all of the long Sunday morning runs with a friend on the way to my first marathon… and in terms of life lessons, I’ve learnt that I’m more determined/stubborn that I thought!